I don’t know about you, but this summer has been hard. If you listen to any news reports – whether it is in print, radio, television, or social media it has been hard. One would have had to been on a news fast, removed from all contact with the outside world to be oblivious to all that has been going on. Hatred, bitterness, anxiety, and violence seem to be permeating our society, here in the U.S. and in the world. Rockets launched into neighborhoods and school yards in Gaza and Israel; Christians in fear of their lives in Iraq; tear gas on the streets of Ferguson, Missouri; and children held like prisoners on our borders. There shall be for you and the resident alien a single statute, a perpetual statute throughout your generations; you and the alien shall be alike before the Lord. You and the alien who resides with you shall have the same law and the same ordinance (Numbers 15:15-16). The Episcopal House of Bishops met last week in the Diocese of Arizona. Before their scheduled meeting, many of them arrived early to learn (and experience) the issues of immigration facing our country. 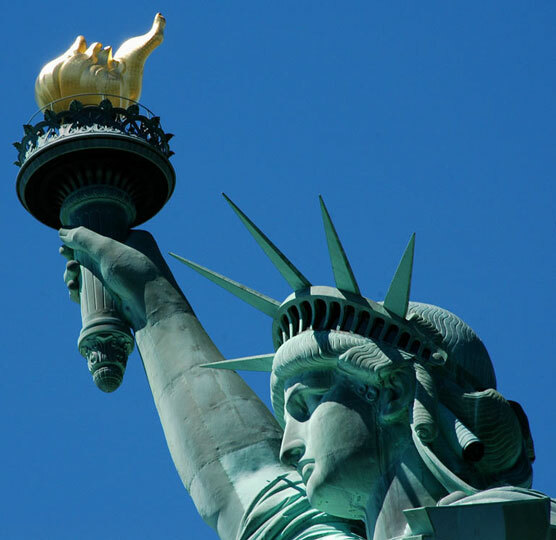 At the end of their time together, they issued this Pastoral Letter along with a Theological Resource: “The Nation and the Common Good: Reflections on Immigration Reform.” It includes links to resources that may be helpful for congregational study. The Thoughtful Christian also two studies: The Immigration Debate and Give Me Your Tired and Your Poor. Jesus – crucified and risen – draws us into his presence again, the one who had nowhere to lay his head, no safe place, no secure home, no passport or visa, no certified citizenship. We gather around him in our safety, security, and well-being, and fret about “illegal immigrants.” We fret because they are not like us and refuse our language. We worry that there are so many of them and their crossings do not stop. We are unsettled because it is our tax dollars that sustain them and provide services. We feel the hype about closing borders and heavy fines, because we imagine that our life is under threat. And yet, as you know very well, we, all of us – early or late – are immigrants from elsewhere; we are glad for cheap labor and seasonal workers who do tomatoes and apples and oranges to our savoring delight. And beyond that, even while we are beset by fears and aware of pragmatic costs, we know very well that you are the God who welcomes strangers, who loves aliens and protects sojourners. We do not ask for an easy way out, but for courage and honesty and faithfulness. Give us ease in the presence of those unlike us; give us generosity amid demands of those in need, help us to honor those who trespass as you forgive our trespasses. You are the God of all forgiveness. By your gracious forgiveness transpose us into agents of your will, that our habits and inclinations may more closely follow your majestic lead, that our lives may joyously conform to your vision of a new world. We pray in the name of you holy Son, even Jesus.